The U.S. Supreme Court just delivered a death blow against Aereo, the streaming TV service that let you watch live-broadcast television on PC, phone, or tablet for $8 per month. But Aereo didn't ask the permission of NBC, ABC, or any of the broadcasters to do so. Instead, the company's data centers are stuffed with rows upon rows of dime-sized antennas. Aereo basically assigned a couple of them to each individual subscriber, then streamed or recorded the feed from those specific antennas at the customer's command. In doing so, Aereo maintained that it was merely a technology provider delivering individual broadcasts to individual subscribers, rather than a service that rebroadcast TV to the masses. 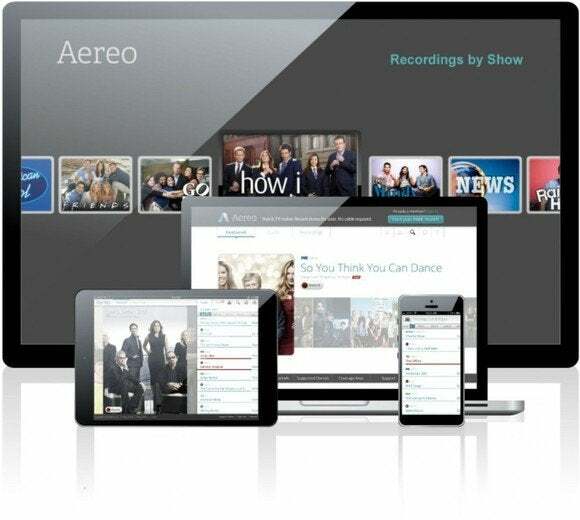 Networks and content providers argued that technical trickery aside, Aereo's core service is tantamount to unauthorized—and illegal, according to the Copyright Act—public broadcasts. On Wednesday, the Supreme Court agreed with the networks in a 6-3 ruling. An array of Aereo's dime-sized antennas. "Insofar as there are differences [between Aereo and traditional cable services], those differences concern not the nature of the service that Aereo provides so much as the technological manner in which it provides the service," the ruling reads. "We conclude that those differences are not adequate to place Aereo’s activities outside the scope of the [Copyright] Act." In other words, Aereo's current business is illegal. 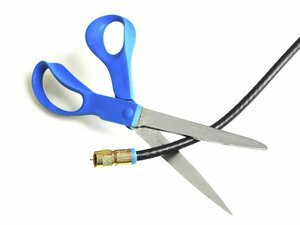 The letter of the law now views Aereo's streaming service as analogous to a cable company, and the company will have to pony up rebroadcast fees if it wants to continue operating. Don't hold your breath about that, though. "If it’s a total straight-up loss, then it’s dead," Aereo CEO Chet Kanojia told the Verge in April. "We’re done." So much for streaming NFL games to your mobile devices. With Aereo's death, live sports are once again a gaping hole in a cord-cutter's available entertainment options. But the Supreme Court went “out of its way in an attempt to prevent the decision from stifling innovation” by focusing on Aereo’s specific technology, he added by email. Although Aereo supporters had raised concerns about the impact of a decision against the company on cloud service providers, the court said those types of businesses should be unaffected, Dannenberg said. Andrew Goldstein, a partner at Freeborn & Peters in Chicago, agreed that the decision was limited. “The Supreme Court majority opinion emphasized that they are not ruling on future technologies that are not before them at the moment; and that given the limited nature of the holding the court does not believe this decision will discourage the emergence of use of different kinds of technologies,” he said by email. Remote DVR services may be affected, but other technologies aren’t covered by the ruling, he said.